About the farm: Deschutes Growery marries the Old World and the New with an environmentally conscious slant. LED grow lights, solar panels and vertical, quad-tiered cultivation chambers minimize the farm's carbon footprint—packing a potential 1,600 square feet of canopy into each 400-square-foot room. At the same time, Deschutes embraces the anachronism, raising their girls in living soil, mimicking nature for nutrition and preventive health. Aroma and flavor: To peel back MAC1's curled, onyx-purple sugar leaves is to release an aromatic competition of mentholated raspberries, bundled lavender and candied Meyer lemon. When smoked, the lavender and the mint form a wedge, cutting through a soapy, fruit body as a cool, perfumed spike that persists after the exhale. Effects: About five minutes after I smoked my first pinches of MAC1, it was as if a gloomy exhaustion I wasn't even aware of had been lifted from my body and mind—my muscles oxygenated and soothed, my nagging thoughts ended. The tension in my shoulders and back loosened, the tasks ahead felt more manageable, and my sense of well-being improved by long strides. This combo of mood and body effects is possibly due to high concentrations of limonene and linalool. It is best suited for afternoon and evening enjoyment, as the buzz is slightly lethargic. About the farm: Deep Creek Farms is an indoor operation that vertically integrates cultivars from its breeding and preservation arm, Dynasty Genetics. The farm's co-founder and part owner, Professor P, spent the past two decades developing strains like Oregon Huckleberry and Honey Badger Haze, incorporating heritage regional cultivars into his breeding projects. As grown under his supervision, Dynasty's strains are things of ornamental beauty, bearing arabesque flavors and pointed effects relevant to both patients and adult-use consumers. Aroma and flavor: Where many flowers deal in round and sharp aromas, Salmon River is more about softs and brights—think musky garlic, powdered sugar melting into coffee and poly-floral hybrid scents. At the pipe, it's a Venn Diagram of subtle complements: a bright, earthy taste calls to mind balsa wood and a quality I can only describe as "silver," while the exhale exposes thin layers of rosewater suspended between silky and effervescent densities of pepper-blackened mint and lemon-cayenne tea. 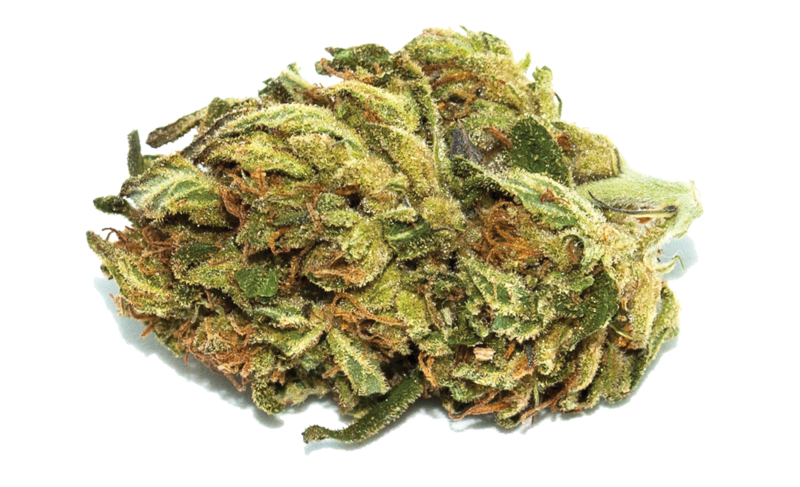 Effects: Where in small doses strains like MAC1 contain fast-acting concentrations of mood-enhancing terpenes, Salmon River OG is a bit more slow-building. Expect a moderate to strong initial body high alongside an airy emotional uptick that in larger servings crests into a slothy euphoria. The strain's sedative vibes render it more evening-appropriate—it isn't particularly thinky or active, so plan accordingly, and make sure you don't have any calculus homework or letters to walk to the mailbox. About the farm: Amid a trinity of peaks outside Ashland, Pilot Farm breeds and cultivates sungrown mountain flowers in and for the Southern Oregon bioregion. In the past, I've recommended the farm's Mountain Girl for its stimulating creative properties. This season's iteration favors a stonier high, representative of the evolving cultivars at Pilot, where each year it works from seed—no two plants the same—to refine varying expressions of its breeding stock, engaging nature and optimizing cultivars for the region and the Oregon consumer. 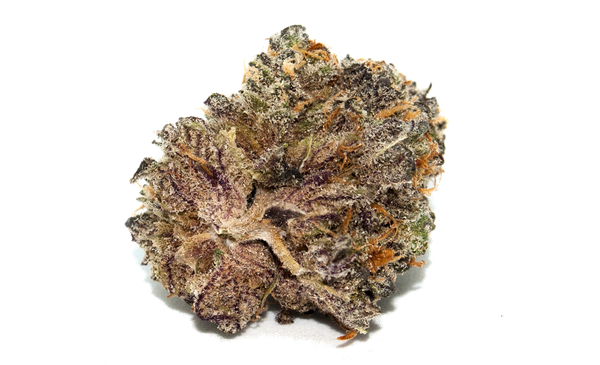 Sugarwolf is the rare exception to its breeding efforts: a strain from outside its stable that found a place on the mountain due to its strong, mood-enhancing effects. Aroma and flavor: Call it "the flavor of weather." It's a story told in taste—one of plants surviving against, and harmonizing with, the elements. It's an ineffable quality I've come to appreciate more and more with each sungrown season as uniquely delicious outdoor flower options make their way to dispensary shelves across the state. Sugarwolf is one such weather-kissed weed: The scent is like warm bubblegum, with a sharp nail-polish note. Sweet, peppery and smooth when smoked, it suggests just-spun, watermelon-flavored cotton candy on the exhale. Effects: Sugarwolf is all in your head. A few hits will summon happy feels that other cultivars only match after bowls and joints. It's a big, euphoric stress reliever that gets giggly, stupefying and slow in larger doses, with only minor body notes. Lay a blanket out in a sunny place (it's spring, after all) and roll one of this stuff. You won't regret it.